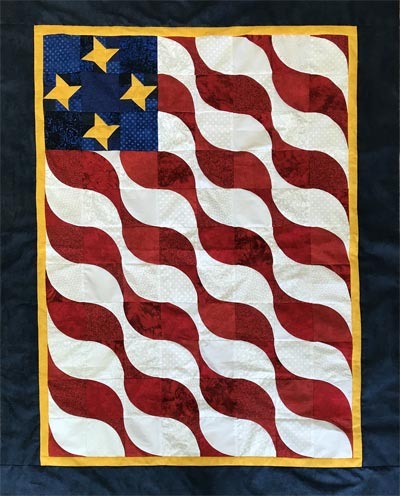 You can see and just feel and hear the ripples of this patriotic flag! The bold red, white and blue colors with burnished gold give it that classic look evoking a proud history. The stripes use a Drunkard's Path design and with slits already pre-cut into the pieces, piecing them together has never been easier for quilters of all experience levels. Kit includes pre-cut pieces, border and binding fabrics plus pattern.